How Is WBNS-10TV Posting Clips To Social And The Web 2X Faster? CBS affiliate WBNS-10TV in central Ohio turned to SnapStream to simplify the process for creating TV clips and posting them to the web with full closed captioning. Now used across several departments, SnapStream has allowed WBNS-10TV to create video clips and post them to Twitter/Facebook and their website 2X faster. As a CBS network affiliate, WBNS delivers news, entertainment, and sports programming to thousands of viewers. Like many local TV stations, WBNS puts much of its content on its website and distributes TV clips on Facebook and Twitter to reach its audience where they want to watch. Prior to implementing SnapStream, the station’s process for posting TV clips online was extremely time-consuming. A PC with a capture card stored the video, and editors used the news editing system to cut up low-definition clips and convert them to MP4s so they could be playable online. Clips then had to be uploaded to the content management system(CMS), tagged, and categorized before they could go on the web. It all had to be done from a computer in the office or via a VPN which made the process even slower. “Our previous workflow was a complex workflow with a lot of failure points, and it was hard to pinpoint where failures happened because there were so many links in the chain. It was not ideal.” Dan Gialluca, WBNS Digital Content producer. WBNS first learnt about SnapStream at NAB 2016. “I stumbled across SnapStream while I was looking for a simple recording solution and was intrigued by what I saw” said Jamie Caldwell, the IT manager at WBNS. “I knew we were looking for a product for the digital team so I made the introduction”. The station considered other video platforms, but the infrastructure cost to implement was far too high. The IT and Digital Team at WBNS chose SnapStream Cloud because it was significantly simpler and faster than their existing process or anything else available. SnapStream Cloud also allowed them to meet the FCC requirement that closed captioning be included with any clips aired on the web. One key requirement for WBNS was that SnapStream had to be integrated with the Brightcove media player, which was used on their website. This was a feature that was not part of SnapStream Cloud at the time, but SnapStream’s product team worked closely with the WBNS team to add a Brightcove export feature to the SnapStream product. In March 2017, after a thorough testing process, WBNS rolled out SnapStream Cloud access to its team. Two RTMP feeds from the studio are sent to the SnapStream Cloud where it is recorded 24X7 and users login by going to https://cloud.snapstream.com/ from any device. Once logged in, they have easy to use tools to create clips, merge them, add watermarks and publish them to Twitter, Facebook or to the website (via Brightcove). Today on a daily basis, around 10 staff at WBNS including the news editors and digital producers use SnapStream Cloud. They use it mainly to create content packages for the website and for Twitter/Facebook. A content package is a collection of clips that cover local or national news and could also cover other themes such as weather or sports. Since SnapStream Cloud is simple to use and intuitive, training new users is quick and easy. A quick session is all it takes to get new users up and running with SnapStream. With SnapStream, the process for creating content packages and putting them on the website takes half the time it used to. Also, team members can now create clips and upload them from any PC/Mac from anywhere without having to be in the newsroom or use a VPN. In addition with the new Brightcove integration, WBNS staff can upload clips from SnapStream to the website with a few clicks straight from the SnapStream interface. 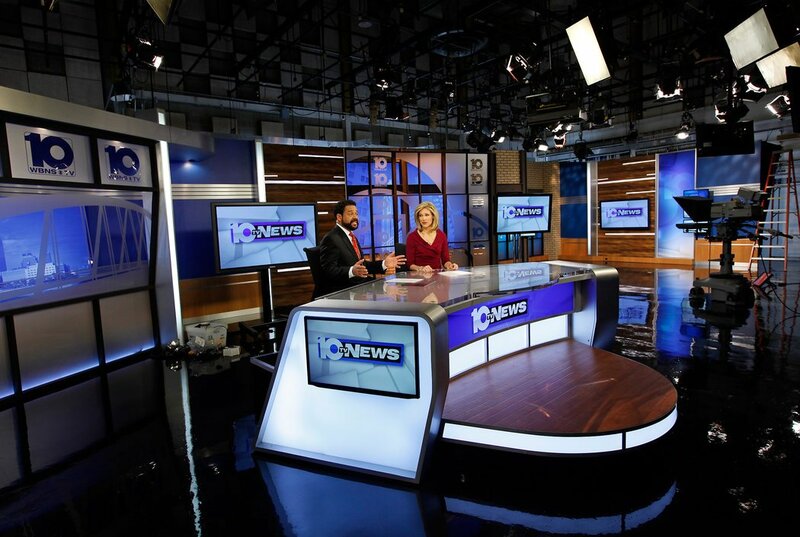 WBNS-TV is the most watched news channel in central Ohio, delivering 24-hour news, CBS programming and sports, top-rated syndicated programs and award-winning local programming. Based out of Houston, SnapStream has been making broadcast TV recording, search and distribution products for over a decade. SnapStream’s diverse list of several hundred customers include: many local TV stations as well as almost all the talk shows like The Daily Show with Trevor Noah, Last Week Tonight with John Oliver, and the Late Show with Stephen Colbert; TV networks such as CBS, NBC, Golf Channel, MLB TV and others; News/Entertainment brands such as Buzzfeed, Politico, New York Times, The Wall Street Journal, Vice, VOX, Slate, Huffpost; Sports leagues and teams such as several NFL, NHL, MLS teams, The PGA Tour, Major League Soccer, The LPGA, NASCAR, WWE; the US Senate; the Library Of Congress; and many others. Learn more about SnapStream at www.snapstream.com.